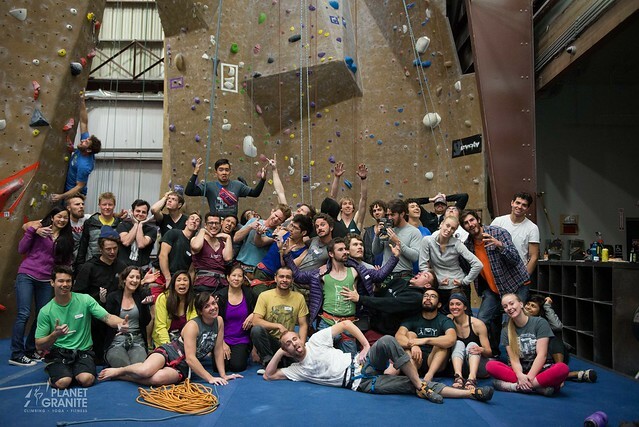 On Saturday, April 25, 2015, Planet Granite Sunnyvale hosted the finals for the annual Friction Series where climbers of all ages got to prove their climbing skills in an onsight rope climbing competition. 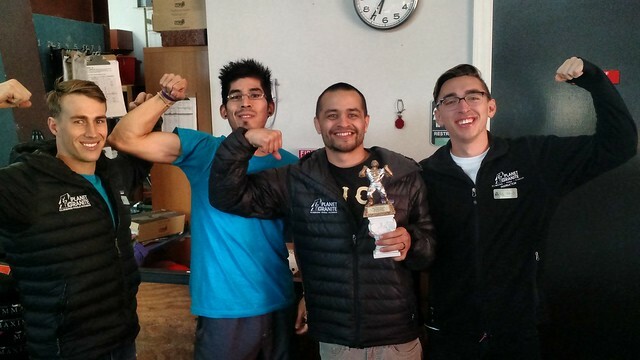 All were invited to come on Saturday to compete, except for Planet Granite staff members. The Staff Edition of the competition happened the following day in PG Sunnyvale after the gym closed where staff members from all four gyms got to climb for points for their gym to determine which gym has the strongest staff. 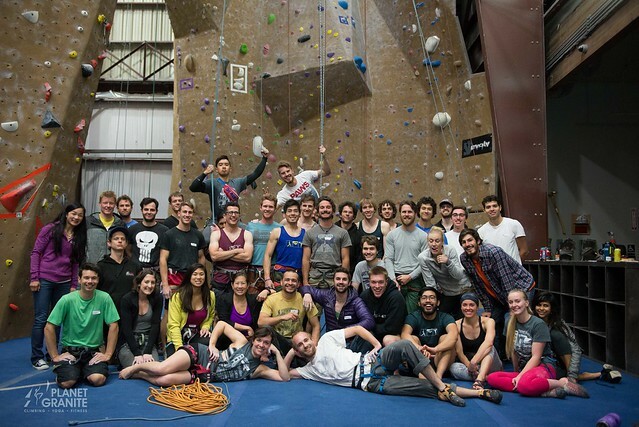 As you can tell from these group photo taken by Stephanie Ko Pound, Sr. Director of Bay Area & Marketing at Planet Granite, PG Sunnyvale dominated the competition! 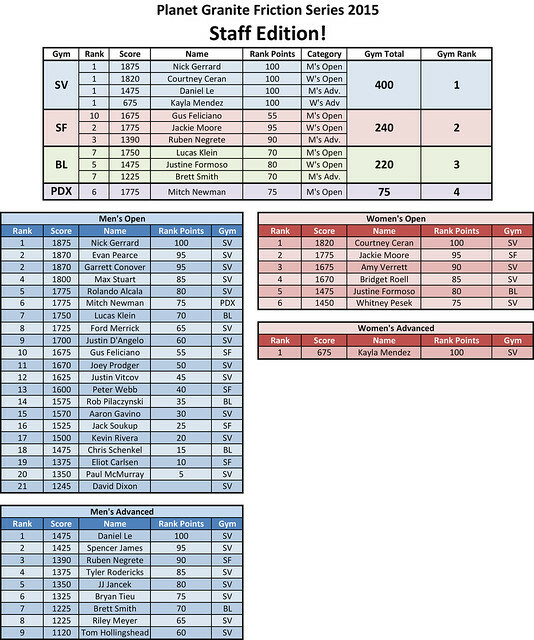 Here are the results from the 2015 Friction Series Staff Edition. Thank You to all staff, gym members, competitors, and spectators who came out to this years Friction Series and made it the most memorable one yet! And a Special Thanks to all of our sponsors including Black Diamond, Petzl, La Sportiva, North Face, Access Fund, IceBreaker, Strike Brewing Co, and MuscleMilk. We look forward to next year’s Friction Series in 2016! 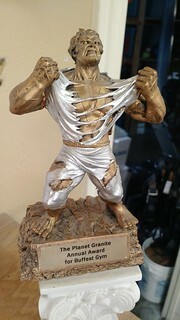 Check out the “The Planet Granite Annual Award for the Buffest Gym” trophy at Planet Granite Sunnyvale the next time you come into the gym! From Left to Right: Tyler Rodericks, Rolando Alcala, Nick Gerrard, and David Dixon.